Speaking of which - a while back I was perusing the internet and came across Operation Pull Your Own Weight, an organization devoted to ending childhood obesity through natural means within one decade or less. How? By making it their mission to help 95% of all school aged children learn to perfom traditional pull-ups before they graduate. They believe that once that has been accomplished, childhood obesity will be all but erased. 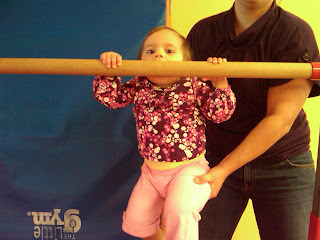 Check out their website, and see what they have to say about the power of the pull-up. And with that, I'm off to work on my own! I have never been able to do a pull-up. I'd love to pull that off this year.. no pun intended..